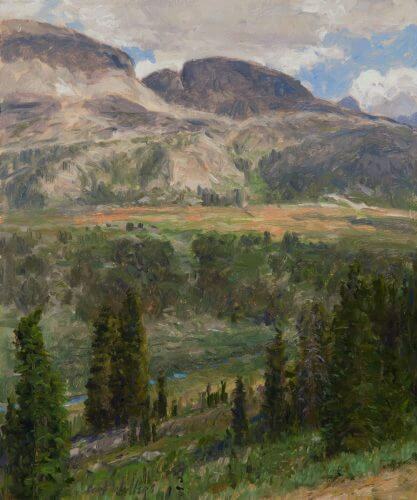 I painted this in the great Wind River Mountain Range western Wyoming in 2006. My artist friends and I rode 63 miles by horse back and experienced some of the most unique jagged granite rock, alpine forest, and open alpine meadows and lakes in the world. This rugged piece of the Rocky Mountains, the western slope of the Continental Divide, is the headwaters for the mighty Green River which becomes the great Colorado River.